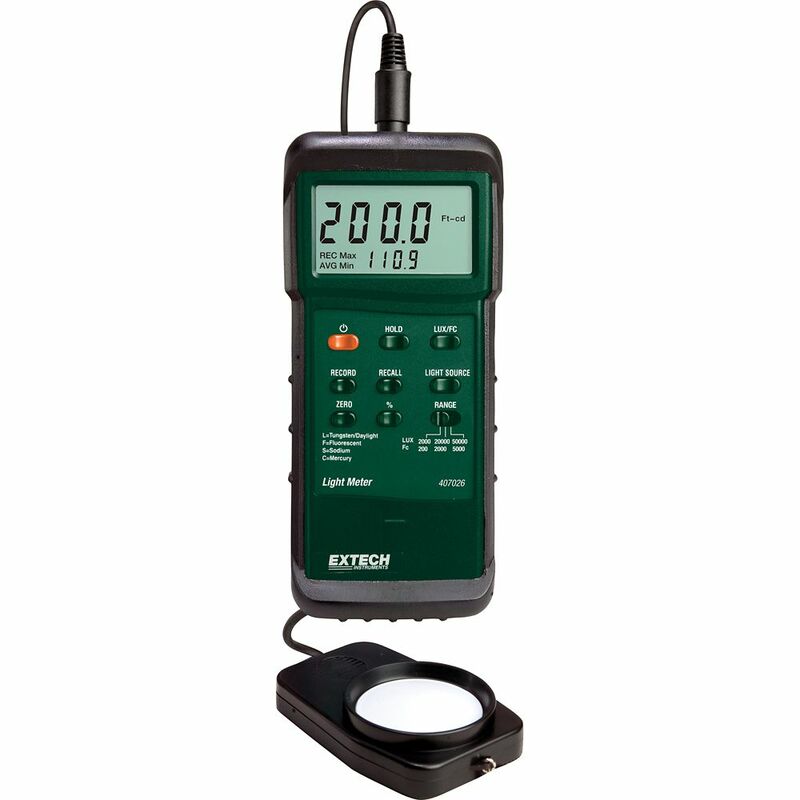 Heavy Duty Light Meter with PC Interface The 407026 is a Heavy Duty Light Meter with 4 lighting type settings for enhanced accuracy (Tungsten/Daylight, Fluorescent, Sodium, Mercury). Additional features include: Data Hold, Min/Max/Average, Auto power off, and a percent reading of the differential from a reference point. Built-in RS-232 interface with optional Data Acquisition Software and Datalogger. Comes complete with 9-Volt Battery, Remote Light Sensor on a 46 in. cable with protective cover, and a protective holster with stand.